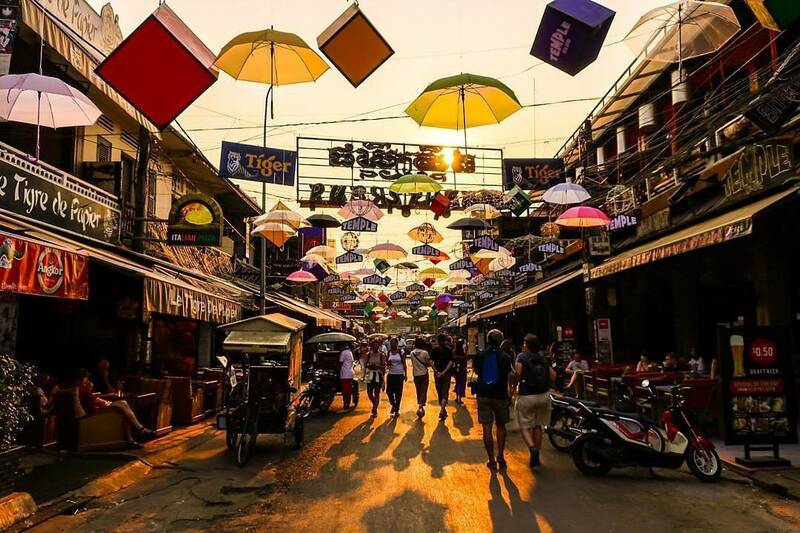 Pub Street, Siem Reap - photo by @stadtlandreisen (Instagram). The central highlight is of course the Temples of Angkor – most of which are just a short trip from the center of town. However, it would be a mistake to see Siem Reap as merely a bed for the night to allow for days at Angkor Wat. Whether it’s enjoy sipping a coffee and people-watching in the town, taking a quad bike out into the countryside, or bargaining for silks and silver in the burgeoning markets, there are plenty of reasons to extend a stay after becoming “templed out”. The central shopping and restaurant area is concentrated around the south of the city near the Old Market. Nearly every week a new bar, boutique, massage spa, or restaurant seems to open; such is the pace of development. What can seem a sleepy town by day (because everyone is at the temples) is teeming with people in high season after sunset, with tuktuks and motos jostling for space on the small streets. Perhaps the most famous street in town is Pub Street – no guesses where the name comes from. Dominated by two night clubs – Temple Club and Angkor What?, it is lined with bars and restaurants, and is the go-to place for travellers looking for a large night out. For those who prefer a quieter evening, the adjoining alleys are host to a myriad of smaller, idiosyncratic establishments – many of which are just as quaint to explore in the day time as at night. 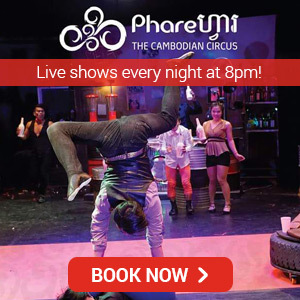 For a more Cambodian experience, it’s best to head out towards Phnom Penh on the national route six to visit Psar Leu market, or take a trip down Khmer Pub Street one evening to see how to party the Khmer way. Getting in and out of Siem Reap is relatively easy. 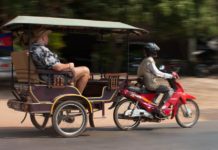 The Siem Reap airport is just 20 minutes out of the town center by tuk tuk and flies to a range of destinations in Asia. Siem Reap also connects with many long overland buses from Laos, Thailand and Vietnam. 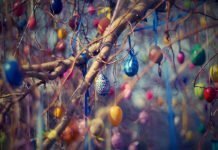 Any of the small travel agencies in the city center will be able to book flights, buses, arrange visas and sort out day trips. The best time of year to spend time in Siem Reap is between November and February. Although the crowds are at their peak, the weather is dry and cool (by “cool” think around 25 degrees) and the rice fields give the whole countryside an amazing iridescent green glow. Between February and May, the heat kicks in and the countryside is dry and harsh. From June to October the rains gradually increase with short showers gradually becoming continual downpours. The rains often cause flooding, and some years whole areas of the town can be totally under water for days at a time. Despite this, Siem Reap in rainy season can be very beautiful. There are substantially fewer tourists, and the moats around the temples are full to bursting, giving amazing reflections of the monuments in their still waters. The forests are green and lush and the waterfalls at their max. With a rain poncho handy, there’s nothing to worry about. 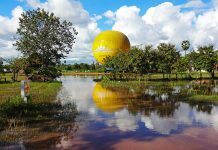 Read also our Siem Reap weather guide for a more detailed overview. Siem Reap is the capital city of Siem Reap province. The province is divided into 12 administrative districts, and those districts into 100 communes where around 179,000 families reside. 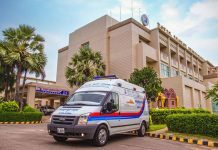 Despite the millions of tourist dollars that flow into the city each day, Siem Reap still remains one of the poorer provinces in Cambodia. 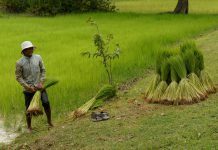 Due to the poor quality of the soil, most rice farmers (and that accounts for 80% of the 900,000 strong population) struggle to make a living. The infrastructure, utilities and education system even a short way out of the town is limited and opportunities for those growing up in rural communities are scarce. 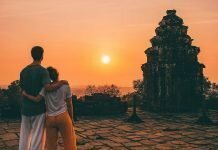 However, in Siem Reap town with its 5* hotels and cocktail bars, it can be easy to forget that many people are living a very different lifestyle not that far away. 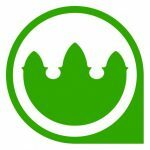 Read also Siem Reap Population, Facts and Figures. Siem Reap Province actually has a lot to offer apart from the temples of Angkor. 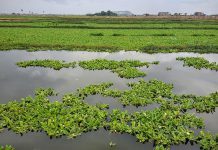 Bordering the Tonle Sap Lake, it is part of the Tonle Sap Biosphere Reserve, and home to rare and endangered wildlife. In addition, about 60km north of Siem Reap town are the Kulen Mountains. Although perhaps not mountainous by general standards, they are in stark contrast to the flat horizons of Cambodia’s rice fields. 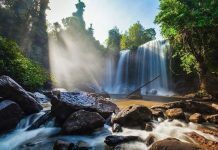 With thick jungle, beautiful waterfalls, and hidden ruins, it is a fantastic place to explore and very popular with Cambodian families at holiday time. Siem Reap arrived on the world map in the early part of the 20th century, when French explorers “discovered” Angkor Wat. 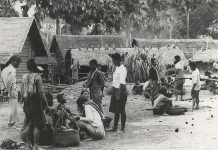 At the time, Siem Reap was merely a village, and was part of an area that had long been controlled by Thailand until the French Protectorate was established in 1863. Ironically, the name “Siem Reap” actually means “Thailand destroyed”, referring to the centuries-old conflict between the two nations. 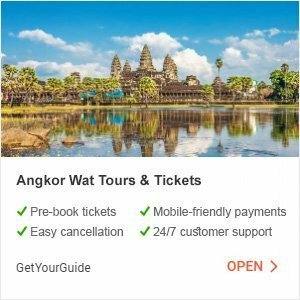 The French began to restore the temples immediately and Angkor Wat quickly became one of the central attractions in Asia, pulling in celebrities and adventurers alike. The Grand Hotel D’Angkor (now Raffles) opened in 1929 and tourism numbers grew steady until the late sixties. 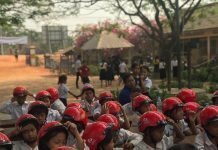 However, the arrival of the Khmer Rouge and the tragedy and civil war that followed completely closed the country to tourism on that scale for over 20 years. After the UN elections were held in 1993 and the remnants of the civil war finally ended in 1998, the country became a viable tourist destination once more – the influx of the NGO community also bringing with it its own investments and business opportunities. Angelina Jolie’s Tomb Raider was released in 2001, splashing the temples of Angkor on cinema screens all over the world. 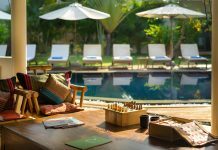 Since then, Siem Reap has grown rapidly, going from a barely-paved village with a few small restaurants to a vibrant city, packed with markets, restaurants and luxury resorts in less than 15 years. Siem Reap now welcomes over 2 million visitors each year. Continue reading about Siem Reap’s history.